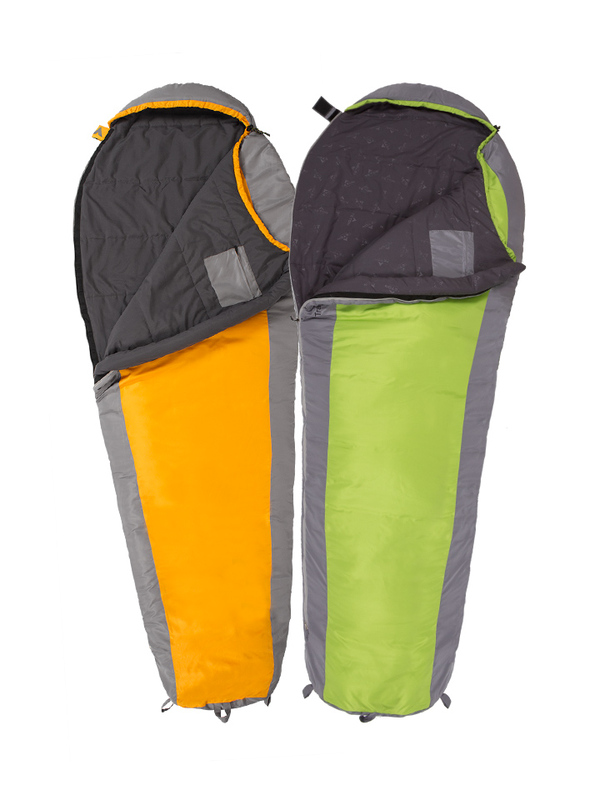 The lightweight but warm TrailHead +20F is designed with 7-denier woven fiber fill, shoulder and zipper baffles, and a drawstring hood. Breathable, soft, double-brushed liner. 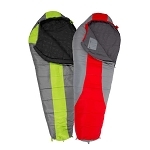 Innovative PolarLite insulation keeps you warm even though entire bag is thin and light. 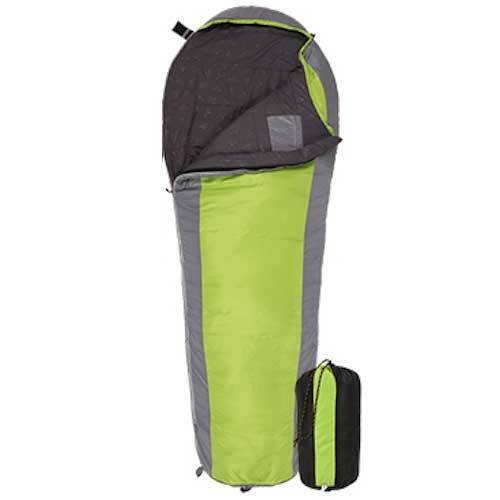 87" x 32" (at widest point) provides shoulder and leg room while foot box design lets you lie with toes up and still be comfortable. 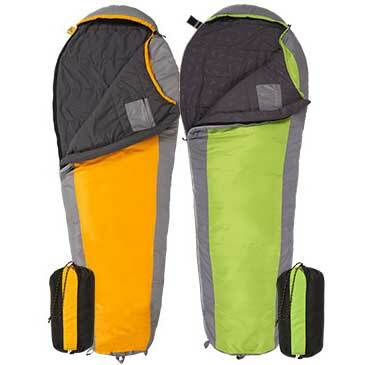 Zipper pullers inside and outside of bag for easy closure. Mummy-style hood with shoulder baffle and drawstring. 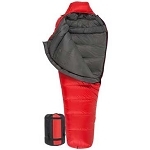 Taped, anti-snag zippers and full-length zipper draft tube. 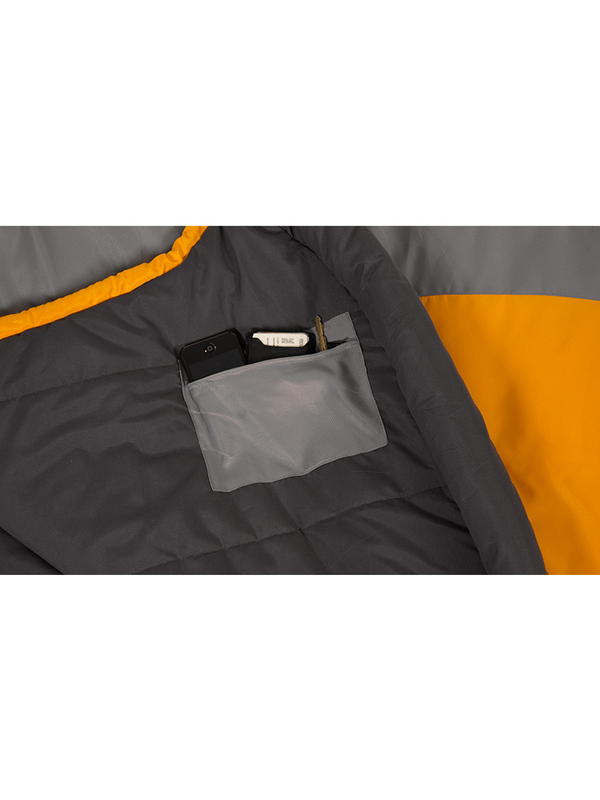 Zippered inner pocket for valuables. Weighs 2.9 lbs. Size (packed) 14.5" x 6.5" x 6.5"
Backpacked in the Tetons in June and brought this bag along. Camped in 35-40F weather and was sufficiently warm with a hoodie on. It's a mummy bag and zips up all the way so it does retain a lot of your body heat. 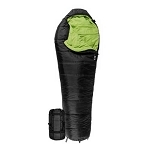 Also comes with a compression sack so it packs small - my friends' sleeping bags were at least twice the size of this baby! The only thing is that it took me a while to figure out how to get the bag to fit into the sack. 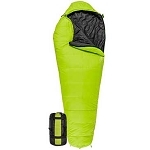 Basically you roll it up as small as you can, punch it in, and then pull on the drawstrings. It got real easy after I got it in the first time. Other than that I think it's a great steal for the price! 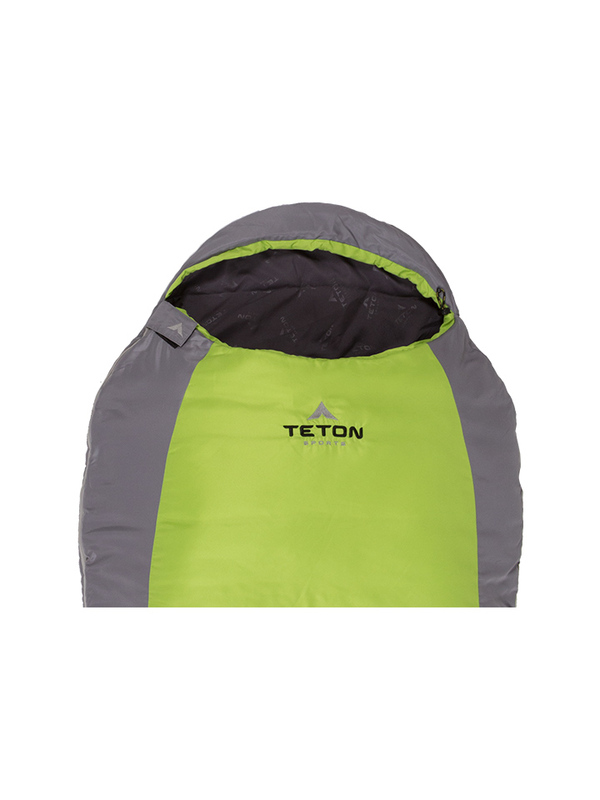 A: All Teton items have a limited lifetime warranty. Their quality is top-notch and they stand behind their brand. 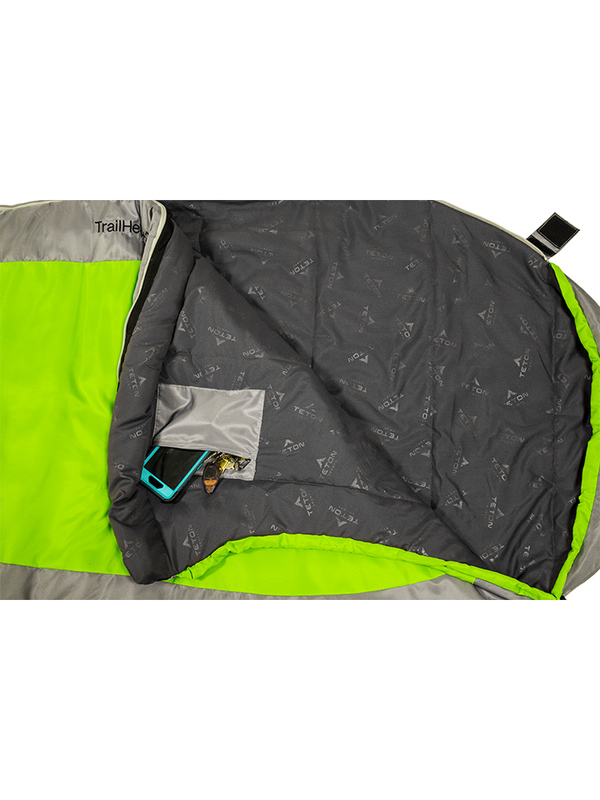 Fast Shipping: Orders for the 1022 Trailhead Sleeping Bag generally leave the warehouse the same business day if ordered in the A.M. These ship Fedex Ground, and delivery times vary by location. Delivery typically takes 2-5 days, call for more exact estimates. Faster shipping is available. Delivery Details: This product ships directly from the factory in SLC, Utah. This item ships via FedEx and may not require a signature. 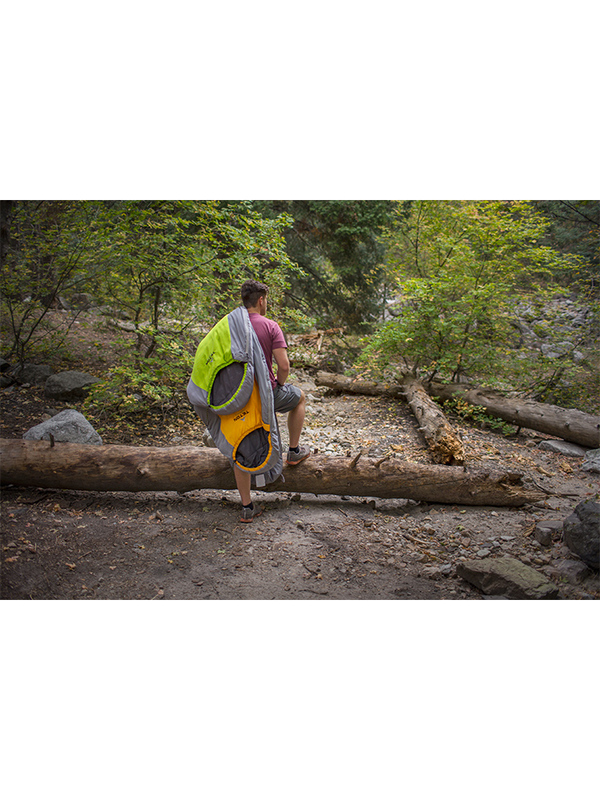 Local Pickup Option:;This item is available for local pickup in Salt Lake City, Utah. If you are interested in picking it up locally contact our customer service for a special pickup quote at 866-308-5484. 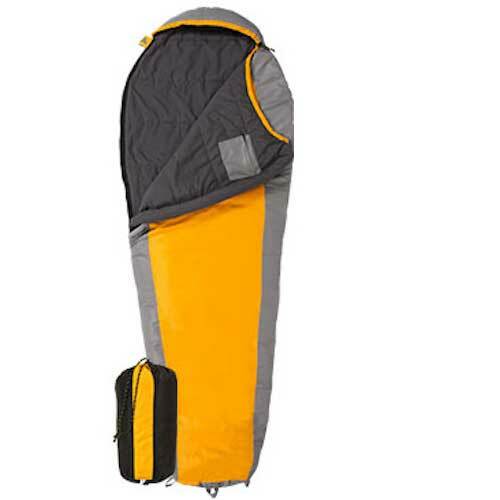 This product has 30-day returns: Simply hang on to the original packaging and contact us within 30 days of receipt if you are not satisfied with this product. We are that confident you will love this product! If something is damaged or defective we will get it replaced at no cost. 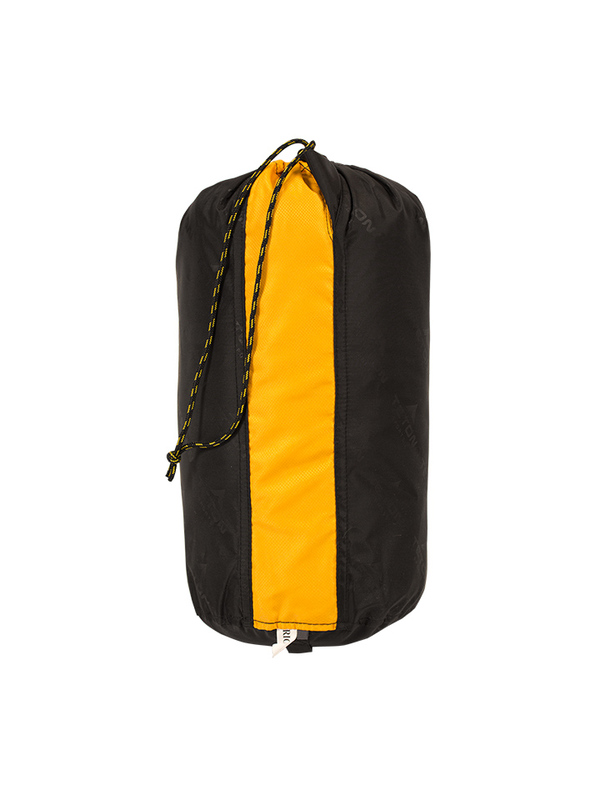 Our Teton items have an extremely low return rate. The reviews speak for themselves. Please contact us before purchasing if you are unsure whether this product is right for you by calling us toll free at 866-308-5484 or via email at websales@competitiveedgeproducts.com Please note that we are happy to waive any restocking fee if the item is unused and in the original packaging. Dimensions: 14.5" x 6.5" x 6.5"